Passed in 1938, the Fair Labor Standards Act established laws and guidelines that are still relevant to American workers today. Among other standards, it established the federal minimum wage and put restrictions on labor by juveniles. Passed by President Roosevelt in an attempt to invigorate an economy still reeling from the Great Depression, the FLSA had a rough road to being passed. According to the Department of Labor, which administers the FLSA, “numerous modifications were made” before it was passed into law. This section details the maximum hours allowed in a regular workweek. The act states “no employer shall employ any of his employees…for a workweek longer than forty hours” unless that employee is compensated at an increased rate. 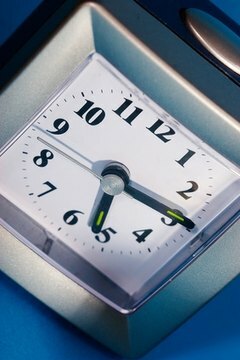 The rate of overtime compensation is calculated as “a rate not less than one and one-half times the regular rate” the worker is paid, according to the act. The act specifies overtime as any work done above forty hours in a workweek. The FLSA applies to “full-time and part-time workers in the private sector and in Federal, State, and local governments,” according to the Department of Labor. BryanSpear. "Section 7 of the Fair Labor Standards Act." , https://legalbeagle.com/6719666-section-fair-labor-standards-act.html. Accessed 20 April 2019.